Compound Terms That Start with "Half"
By now, you have observed that compounds of two words can be closed, like paperback, hyphenated, like light-year, or open, like “ice cream.” This inconsistency (sometimes persisting, sometimes differing as the prevailing style changes) is one of the maddening vagaries of the English language, but the puzzlement intensifies when the style differs even among compounds beginning with the same word. Take compounds that start with half, for instance. The variability exists regardless of which part of speech the compound represents. Consider these sample nouns: In field sports such as football and soccer, one of the positions is halfback. But a brother or sister related to one by only one parent is a half brother or a half sister, and when the moon is half full, it is called a half-moon. The compound verbs beginning with half that I found listed in one dictionary are consistently hyphenated, but there are only three: half-mast, half-sole, and half-volley. 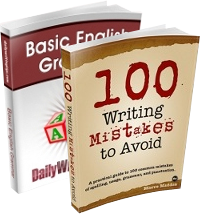 Adverbs are rare, too, but they follow the style of the adjectival forms. The form for a given compound may differ depending on part of speech or on meaning: For example, a book cover consisting of two distinct materials is half-bound, but the style is called half binding, and “half hour” is open, but half-hourly, as an adjective or adverb, is hyphenated. Meanwhile, the term for the intermission of a competition, whether used as a noun or an adjective, is halftime (“I walked around the stadium to stretch my legs during halftime”; “The halftime show seemed interminable”), but in the adjectival or adverbial sense of working half of the normal workweek, it is styled half-time. I could use another hyphenated compound beginning with half to describe my feelings about this imperfect system, but I’ll just say that the inconsistent nature of terms that belong in this broad category requires that I often do what I recommend you do whenever you plan to use one: Look it up. I first want to say I love your posts and learn something new on a daily basis. I was just curious if you ever use The Gregg Reference Manual: A Manual of Style, Grammar, Usage, and Formatting by William A. Sabin? I don’t believe I have ever seen it referenced on any of your posts. He dedicates nearly 40 pages to compound words and all of the combinations. For anyone who has never used Gregg, check it out. I refer to it first, then I check Daily Writing Tips (sometimes the order is reversed, but I consider the two my go-to sources of information). It was published in 1998 and, unfortunately, hasn’t been updated — which is a shame because it’s a little gem and merits modernizing. When the moon is “half full,” it is called a first-quarter moon. This must be by far the most common use of the word “half-mast”, if there are any others at all. (“Half-soles” is the direct object, plural because there is a left shoe and a right shoe for people who have two feet.) Nowadays, the whole art of repairing shoes is probably lost from the minds of North Americans and Europeans because they just dispose of well-worn shoes and buy new ones. Also lost from their minds in our age of disposable things are the practices of repairing radios, repairing TV sets, repairing torn clothing, repairing lawnmowers, repairing washing machines, etc. Well, when I was a boy and I tore my britches (pants), my mother sewed them up for me. However, even then she never darned any of my socks. Socks were disposable items that became cleaning rags, and my parents bought me some new socks. When the bottoms of shoes got worn out, there were two choices for repairing them: 1) replacing the whole soles, heels and all, and 2) replacing the half-soles forward of the arch. Nowadays, I don’t think that most people in the industrialized countries know what a half-sole is. 3. Rod Laver and Ken Rosewall were masters at using the half-volley in tennis matches during the 1960s. Laver won the single’s Grand Slam twice, and he is still alive (maybe Rosewall is, too). Laver has been residing near San Diego, California, for years now, though he is a native of Queensland in Australia. Another interesting thing is that Laver has become a fan of American football, and he can be seen sometimes at the home games of the San Diego Chargers team. Yes, those terms are verbs, but I erred in not mentioning that they are primarily nouns but can also function as verbs. I’m familiar with Gregg but have not had an occasion to use it. The latest edition is too expensive for me to buy just to review, but I’ll review an earlier edition sometime soon. I was writing something about something about the half moon, but for no particular reason my typewrtiing just VANISHED. Why? Oops: Nelson Carter made a seriious mistake about astronomy that I was trying to explaing. This time I will be briefer and less thorough. The half moon occurs twice each month, where I mean lunar months. Let’s number the lunar weeks 0, 1, 2, 3. Week 0: the New Moon — dark all over. Week 1: the Half Moon, with the eastern half illuminated and the second half in darkness. Then repeating about every 29 days. There are antique terms about the first quarter moon and the third quarter term that are rarely used anymore. They correspond to two different half moons. Most people in places like the Americas see the first half-moon of the lunar month at convenient hours: about 6 p.m. through 9 p.m.
On the other hand, the second half-moon of the lunar month is not seen so often by common people. It can be seen well: about 2 a.m. through 5 a.m. when most of us are asleep, or indoors at least. Few people nowadays get up at 3 a.m. so that they can go outdoors to plant or to harvest crops, and we have few shepherds anymore who stay outdoors all night to protect their flocks. Also, the hours depend on how far east or west you live, and whether you are on Daylight Saving Time or not, and how far north or south you are. Do take the numbers in the paragraphs above as simple approximations. “East” and “west” are defined on the Moon such that the Sun rises in the east and it sets in the west, just as it does on the Earth. The same things apply to Mars. It’s a matter of definition. Also, both the Moon and Mars, the global magnetic fields are so weak that compasses do not work at all, so a compass will not help. “North” and “south” are defined to be similar directions to what they are on the Earth, and the same applies for Venus, Jupiter, Saturn, Neptune, and the Sun. Then the definitions of east and west follow. Also, Jupiters, Saturn, Neptune, and the Sun have significant magnetic fields, and they align in the north-south directions just like on the Earth, so compasses would (hypothetically) work there. The problem is that there isn’t anything there to stand on! half-baked (a “half-baked idea”), halfbreed, half-caste, halfhearted, halfmade, half-thought-out, halfwit, and halfwitted. Once again: some hyphenated and some not. Aren’t you glad that we do not have something like the French Academy to tell us whether to put one there or not? Compounds are the bane of this copyeditor’s existence. In spite of years of experience working with words, I find myself continually checking MW or the Chicago Manual when it comes to compounds. Although some forms and rules are clear and straightforward, many others are not. One of the most frustrating aspects of the English language. 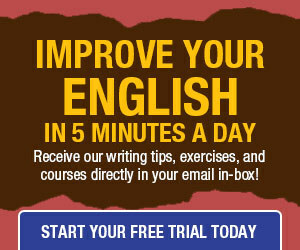 Imagine if English is not your first language! I’m pretty sure, Dale, that the quarters are not antiques that are rarely used. Perhaps you don’t hear them often, but I do. But then, I also hear the waxing and waning gibbous moons and crescents as well, neither of which you mention. See, that’s what happens when people go off half-cocked.